Coping with pests anywhere in the house can be aggravating, but it’s especially frustrating when they appear in the kitchen. After all, it’s the place where you and your family prepare meals. Here are some helpful pest control tips that may prevent those stubborn critters from entering your culinary space. Prevent pests from finding their way into your kitchen by keeping it clean. Insects and rodents are attracted to food, and they’ll quickly head straight for the crumbs on the floor or countertop. Wipe surfaces thoroughly and make a habit of storing food in closed containers. It doesn’t take much space for a mouse to squeeze through a crack. If you’re aware of any openings in the vicinity of your kitchen, use caulking to securely seal these areas. You’ll also put a stop to stubborn ants, which can be difficult to eliminate once there. A critical part of proper pest control is rinsing out dirty dishes. While you can place them by the sink to wash later on, it’s best to clean them or put them in the dishwasher quickly; that remaining residue can attract several critters. As trash collects, it provides the perfect breeding ground for pests. Whether it’s the odor that attracts them or the actual contents, trash is a problem that can be fixed easily. Take it out as soon as it’s full. 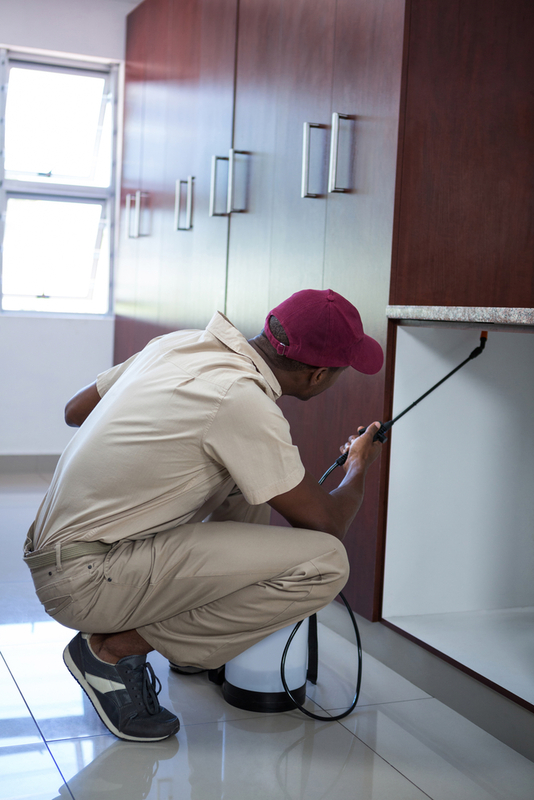 You may have heard horror stories about cabinets teeming with pests. While those ant control tales aren’t too far off the mark, they don’t have to be your reality. Clean cabinet shelves regularly, throw out old foods, and make sure everything inside is sealed. If you’re concerned about a possible pest problem in your kitchen, act fast. Get in touch with the exterminators at West County Pest Control to learn more about our spider and ant control services. Call us today at (636) 300-4449.